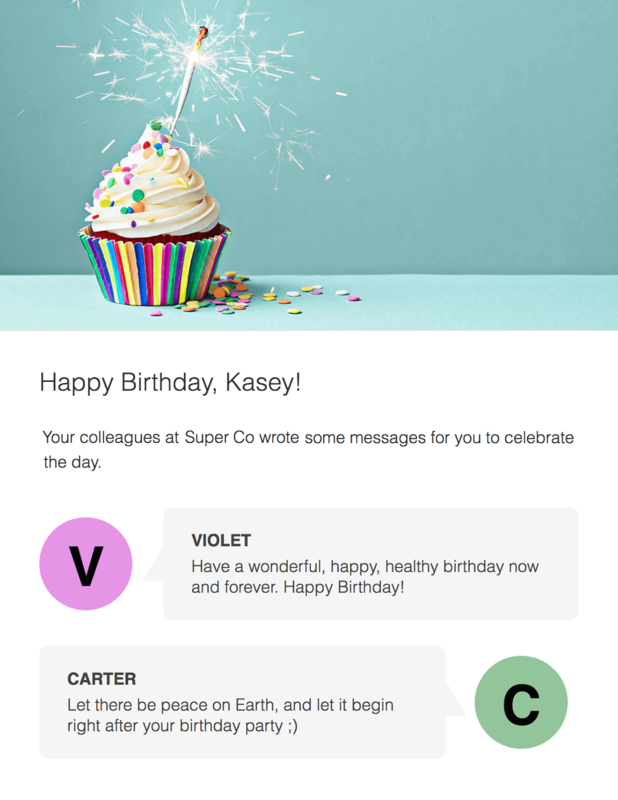 HuddleCard: Greeting cards for distributed teams. HuddleCard brings distributed teams that much closer. authored by your team, delivered thoughtfully with HuddleCard. Let HuddleCard take care of birthdays. Every week, HuddleCard passes around cards for upcoming birthdays. 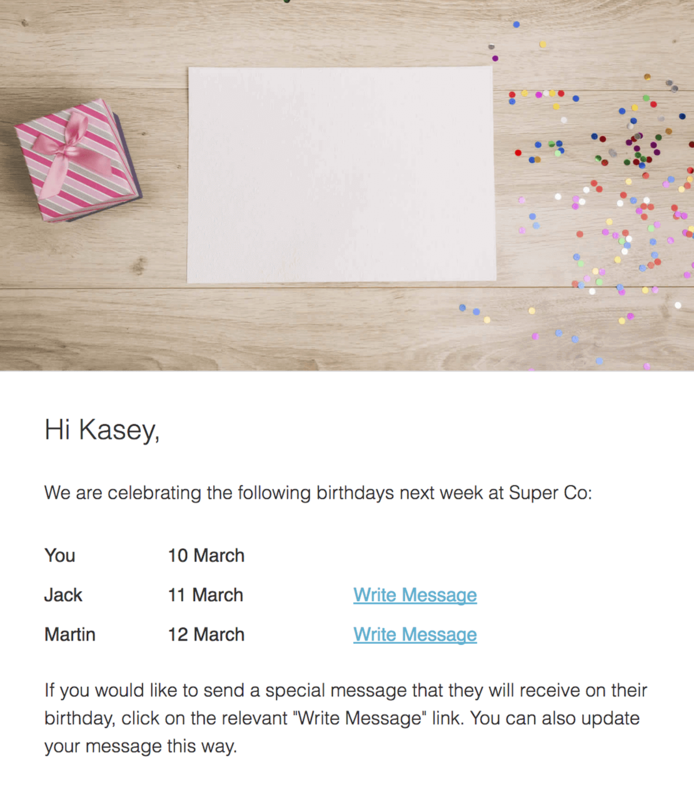 Messages written by your team are compiled and forwarded via email on the appropriate day. Celebrate an occassion, or collect heartfelt messages as needed. 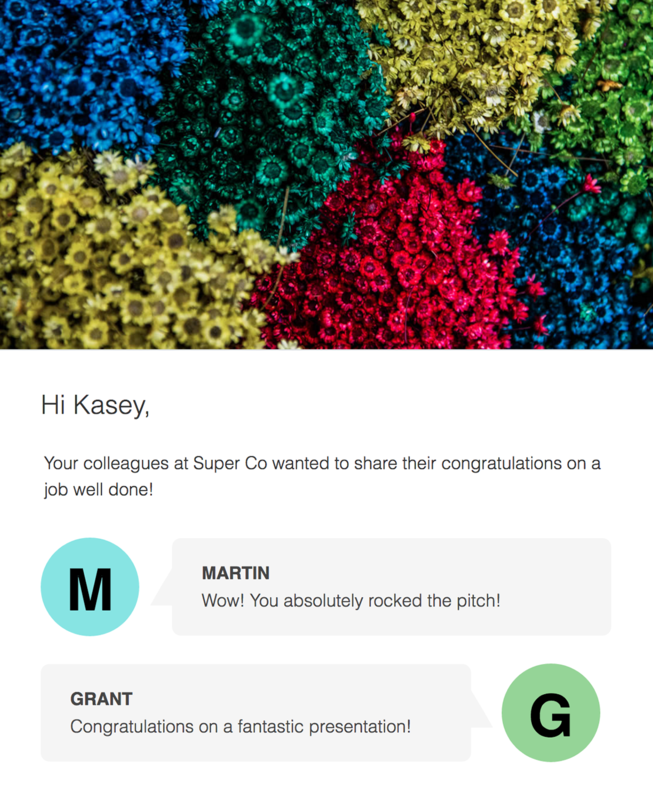 HuddleCard makes it easy for teams to tell their colleagues how much they mean to them. Create congratulations, wedding, welcome cards and more. Set up a group. Add people. Send ad hoc sympathy, get well, farewell, retirement, congratulations cards, and more. 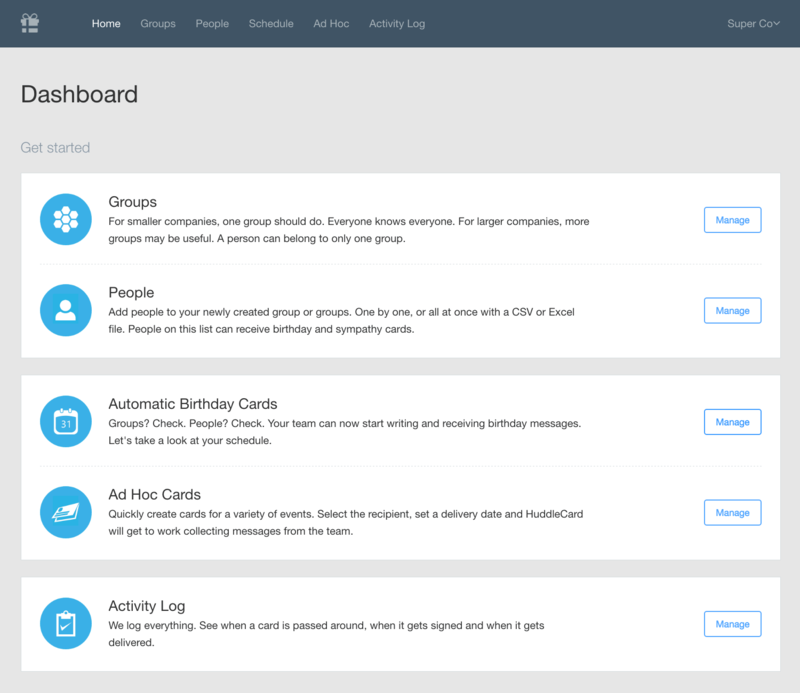 HuddleCard can also create a schedule for automatically collecting and sending birthday messages. Everything is logged. See when a card is passed around, when it gets signed and when it gets delivered.